According to scholars from the Doubting Thomas Foundation, the “the mountain of almonds” Jabal al-Lawz on the Saudi-Jordanian border is the legendary Sinai where Moses is said to have received the Ten Commandments from God. Incidentally, it happens to be the planned site of the $500-billion megacity Neom that the kingdom wants to build. The Doubting Thomas Research Foundation and security analyst Ryan Mauro have released a documentary film calling for the preservation of what they believe to be the site of the Biblical Mount Sinai — a location that Saudi Arabia has picked for the ambitious multi-billion construction project Neom, The Daily Star reports. According to the documentary, titled Finding The Mountain of Moses: The Real Mount Sinai in Saudi Arabia, the mountain peak Jabal al-Lawz, dubbed the "mountain of almonds", on the kingdom's border with Jordan is in fact the legendary mountain where Moses led the Israelites to receive the Ten Commandments from God, according to the Book of Exodus. The location of the Biblical Sinai remains a matter of debate, with the "Sinai in Saudi Arabia" theory being criticised by some historians. However, the foundation's researchers claim that a number of pieces of evidence point to the Saudi peak being the Biblical site, including a "massive ancient graveyard" for worshipers nearby, with "golden idol" paintings in caves there. 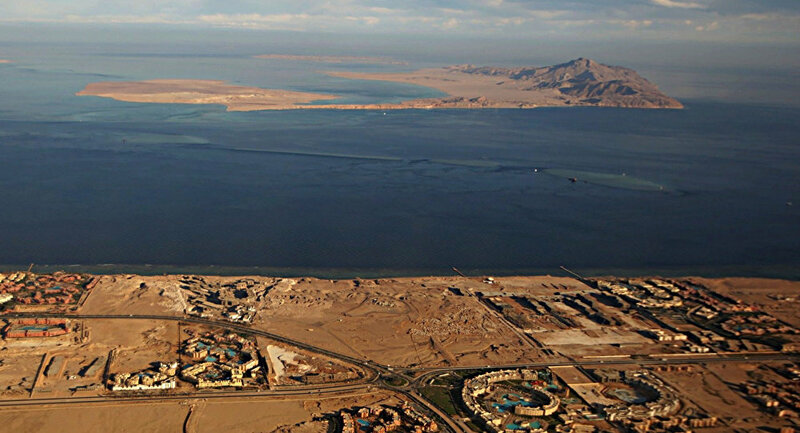 According to the researchers, a project called "Sinai In Arabia" has been set up to investigate the historicity of the Exodus, including theories about Mount Sinai's possible locations. “If all of us don’t take action, Saudi construction in the area may destroy key evidence and prevent excavation for the foreseeable future”, Mauro claimed in the film.